Warm. Sweet. Bronze. Achieve the perfect sun soaked color with this blushing bronzer. The Premium Skincare Blend rejuvenates and moisturizes skin while Agave Nectar® feeds skin tan-loving nutrients. 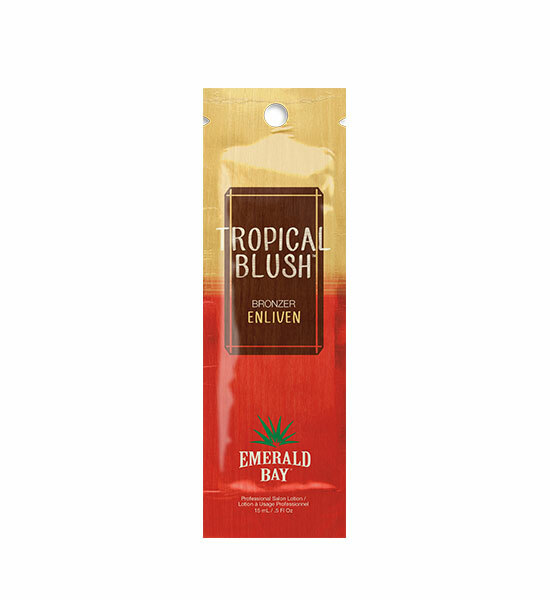 A blend of cosmetic and DHA bronzers give a golden glow straight from Emerald Bay®. Beach Blush provides a blush hue that deepens color results.